Alex Mabey is a noise and vibration specialist with over 15 years' experience in the measurement and assessment of noise and vibration from road traffic, railways, aircraft and construction worksites and from industrial developments that include wind farms, power stations, petrochemical, water treatment and waste recovery sites. He has worked on a number of major UK and overseas transportation and infrastructure developments that include HS1, Crossrail, HS2, the New Port Project, Qatar, Cross Island Line, Singapore and the Dubai International Airport 2020 Expansion Plan. Alex has worked overseas on one of the largest oil refineries in the Middle East providing advice on industrial noise control. Alex has extensive experience in noise and vibration modelling and data analysis using software packages that include SoundPLAN, NoiseMap 5, FINDWAVE, IGITUR and MATLAB. Alex has a thorough understanding of noise calculation procedures that include CRTN, CRN, TNPM, BS 5228, Concawe and ISO-9613-2. The measurement techniques Alex is able to utilise include sound pressure and sound intensity measurements, multi-channel vibration measurements and rail roughness measurements using a Corrugation Analysis Trolley. Alex is registered as part of Southdowns' accreditation with the Association of Noise Consultants to undertake pre-completion sound insulation testing for Part E compliance purposes and provides sound insulation design advice to developers. 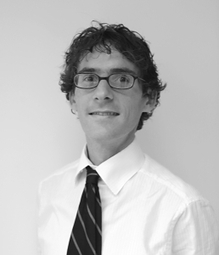 Alex has an MSc in Acoustics and Noise Control and is a corporate member of the Institute of Acoustics.